This pre-monsoon is natural activity. Thunder clouds as well as spells of rain on different days is indicative of the Monsoon knocking the doors of Delhi. In the morning of 10th June 2017, I heard the sound of the pied crested cuckoo and I sighted the same in flight . It just landed up the canopy of a tall tree. After a few seconds it flew again and went away as being chased by a house crow. For the last so many days I am hearing their sound and even able to see either perching them on the top of the tree or in flight. 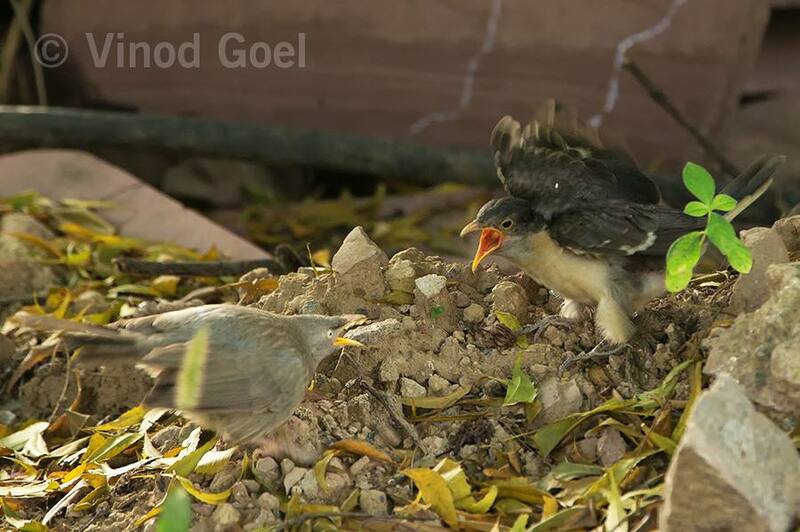 I remember last year I observed their mating on 28th June in the heart of Delhi. A rare shot in the wild. 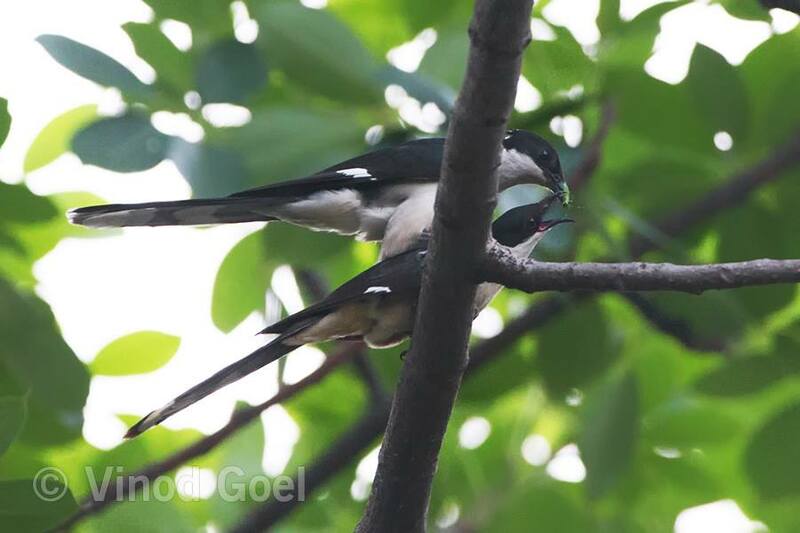 I do remember observing their courtship in air on 11th August and mating on 16th September in the heart of Delhi in 2014. It was seen again almost after two years. 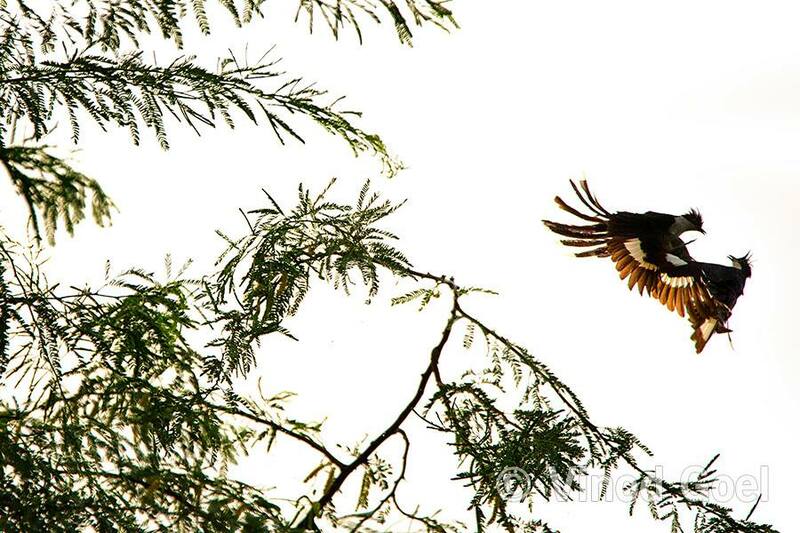 According to Hindu mythology, this bird is known as Chatak and as harbinger of the rains. Its arrival is an indication of the timely arrival of Monsoon. People in different parts of our country wait eagerly for its arrival as this is symbol of hope, because entire Indian population & the economy is Monsoon dependent. 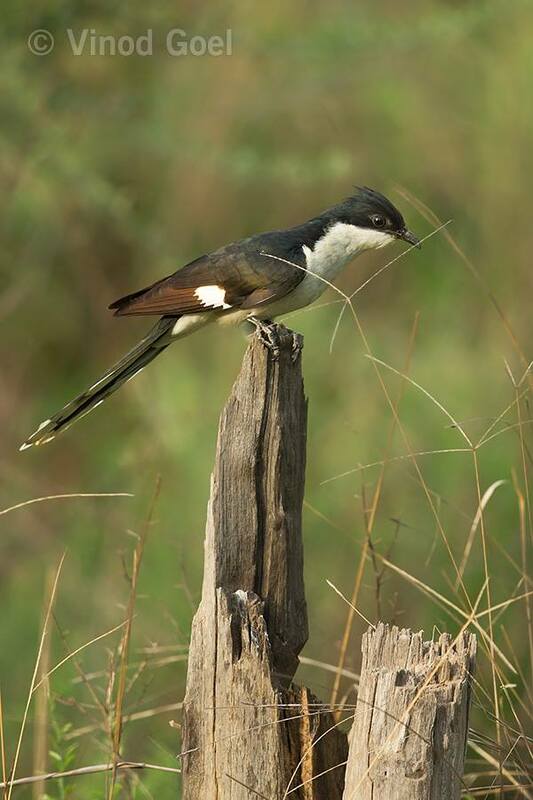 Pied crested cuckoo is a member of the Cuckoo family. It can be easily identified by two colors white and black. These are very vocal during the breeding season. In fact, they are originally migratory birds from South Africa, come to India along with the South West Monsoons for breeding. 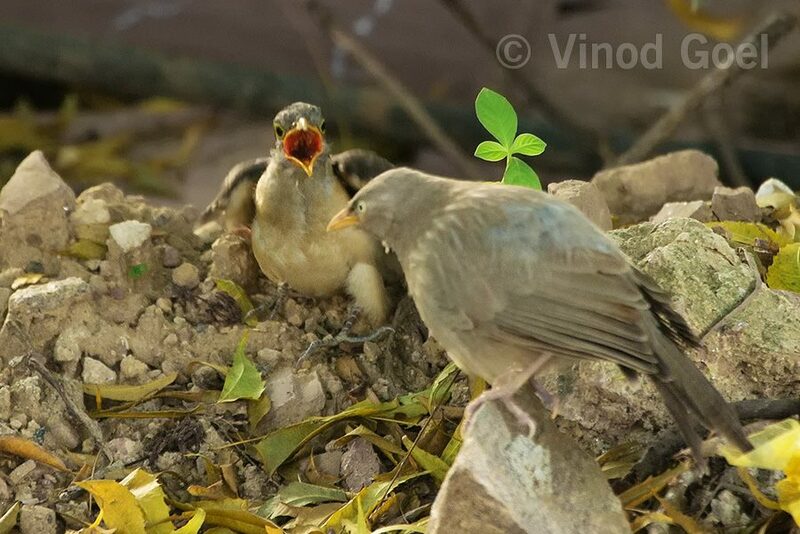 Similar to Asian Koel and common cuckoo they are brood parasite (they do not make their nest and lay their eggs in other bird nest ) and the host specie in India is Common or jungle babbler .Last year I was fortunate to record the feeding of the chick by a group of common babblers on 27th September. 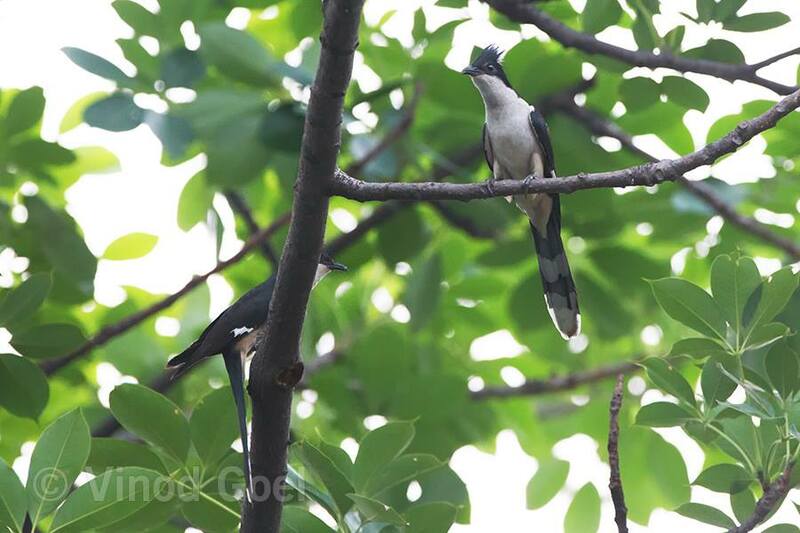 Seeing Pied Crested Cuckoo is considered as Good Luck, and my luck was seeing a Greater Racket Tailed Drongo in the heart of Delhi on 28th of June 2016.